I posted a little flyover from my 3/3 show but wanted to share a bit more about the gear I’m playing around with for 2018. First off, great news that Impression Cymbals has a US presence again. I’ve been with them for 3 years now and have a wide selection of their Turkish made masterpieces. So far the very limited run I-Con series 15″ hihats and 20″ ride paired with a 19″ Traditional Crash/Ride are all perfect choices but I may add some efx cymbals or another washy crash soon. The new music needs a different sound than my Taye Studio Birch so I’m giving the Yamaha Absolute Maple Hybrid kit a spin. I’ve never been a Maple drums fan but the Wenge in the middle of this shell does something magical and somehow the kit sounds like Maple and Birch at the same time? Sorcery. I’m using a Big Fat Snarebourine for a little extra snare chunk and an LP micro snare and click hihat tambourine for some spice. Stickwise, Vic Firth has come out with this Modern Jazz collection and I’m loving the MJC3. It’s like an 8D but with an oval bead instead of an acorn and it feels perfect in my hands. I’d been an SD4 guy forever but for some reason I move to it for drums and away from it for sticks? My new electronics rig is a work in progress but so far I’ve got all of the atmospheric vocal effects and additional keys/strings/blips and boops running from Ableton Live out of an iConnectAudi02+ to the house and also with a headphone mix to me via the amazing FutureSonics G10 in ear monitors. The iConnect has a software mixer that allows me a lot of control to route of out Ableton and even though were only using two right now we could easily push 4 and I’d still be able to have a separate stereo headphone mix. I love that lil robot! I’M also using a Keith McMillen Instruments Bop Pad as the start/stop controller and since it has 4 zones I can trigger a sound or two per song if needed. And it all fits in one case! wooo! It’s been fun to jump back into music with an electronic component and our new set of songs definitely have alot of new colors and textures to make them come to life. My site has been a little neglected what with everything that happened in 2017 so here’s a little listicle of highlights and pics that made it a little better. Devil Met Contention. Thank you to everybody for coming out, last night! July 26: We played Chill on the Hill – it was a perfect night albeit a little buggy. Ignore my love handles and just enjoy this photo for it’s epicness. September 9: We played Rock the Green on a 100% pedal powered stage! 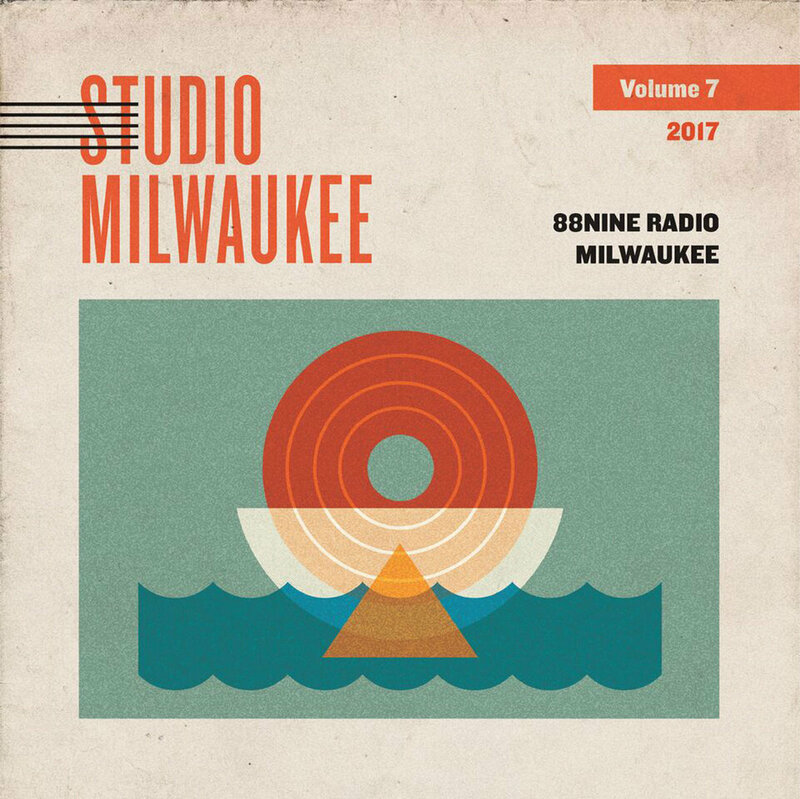 October 12: National Tastemaker 88NINE Radio Milwaukee included us on their Pledge Drive CD gift called “Live From Studioo Milwaukee, Vol.7”. Had we known at the time that we would end up rubbing shoulder with Old 97s, Aimee Mann, Robyn Hitchcock, The Magnetic Zeroes, Brett Dennen and Mike Doughty we would have played better haha! November and December: we carved out a little bit of time to demo, track and produce two new songs for release in 2018. They’re definitely a move into new territory for us and I hope people will be into them as much as we are. I can honestly say this is the first time that I never once got tired of hearing the songs throughout the entire process which is rare I think. Also, Daniel Holter is our new champ behind the board and its been such a pleasure to watch him work. We did one of these last year in Milwaukee and it was fun but not nearly as epic as the Indianapolis version. A flash flood rolled through Broadripple about 2 hours before the show. Power was out and it seemed like we’d have to cancel but thankfully everything sorted itself out in time for a great show. Plus, I got to see some family which was a bonus. I’m that Uncle who is also a rock star, haha! “Fuel The Lights” out now! Stream and Download Fuel The Lights, the new album by Devil Met Contention today! Or you can find them on Spotify, Itunes, Youtube and everywhere digital music is sold. Also, a HUGE thank you to Milwaukee Record for the exclusive early stream and kind words about the new music. We love our local press! After about a year of various sessions and a single release last year of “Summertime”, this release is ready for the world. It was an honor to join Victor DeLorenzo, Janet Schiff, Rob Wasserman, Monia and more special guests by contributing drum set and percussion to this release. If time and venues permit, I may even get to join V & J onstage in the future to play some of these tunes live!. Used To Be from DMC – video and single are out today! We shot this beauty last year on a warm Summer day and it’s only fitting that we release it today and give Spring a little boost. This is the lead track off of our new release entitled ” Fuel the Lights” which will be out in June. You can view the video and download the digital single via our Bandcamp page. Back in November of 2015 DMC was invited to take part in a live loft recording series called Hear Here Presents. It was a blast and you can hear folks from the crew and other bands that took part in the evening’s sessions. I played this show all hopped up on flu medicine but at least my hair looked good! From a gear perspective, I was trying out some new Yamaha Absolute Hybrid Maple drums (snare and floor tom) along with a Taye Studio Birch kick with the Woodshed Percussion logo head. Those sick 16″ hihats are Impression Dark series. So slinky good! 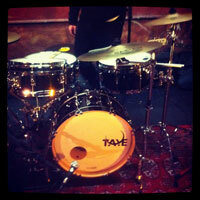 And don’t forget the cool Big Fat Snare drum snare-bourine to get that fat 70s thump on the third track.